Your lawn is not only a great place for your family to enjoy the outdoors and relax, but it also has environmental and social impacts as well. While a healthy lawn can contribute to good soil preservation and the reduction of CO2 levels, it can also help keep your home’s value high. When everyone else’s lawn in your neighborhood starts to show the signs of wear from the heat and drought, read through this post for some great tips to follow before, during and after a drought to keep your lawn looking and feeling healthy. A lack of water or rainfall can be devastating to any lawn. Starting out with a strong and healthy lawn can help you get through those dry times. By maintaining regular cutting schedules, fertilizing in the spring and fall, and aerating your lawn to allow maximum moisture to reach the root beds, you should have a solid base with a healthy lawn that can withstand the damage from a drought. Keep a close eye on the condition of your grass and watch out for the warning signs that your grass is lacking moisture. When you walk on a patch of grass that doesn’t spring back up it can indicate a lack of nutrients and moisture in the soil. Yellowing or browning blades are the most obvious signs of drought damage. As soon as signs start to show, you should ramp up your feeding and watering schedule to get through the driest part of the season. The most obvious action to take for a lawn that is suffering in a drought is to get watering. For many, that isn’t always possible during a drought, especilaau if there have been water usage restrictions applied. In that case, water when you can and add a rain barrel to your eavestrough system. You won’t be able to hook it up to a proper sprinkler, but it should give you enough water to treat the really damaged areas. Watering in the early morning or evening is the best time for your lawn during a drought. As the drought season gets closer, let your grass grow a bit longer and cut it less often. Longer grass blades tend to have deeper root systems, which can give them more stability and durability during a drought. Leave the clippings on the lawn instead of bagging them up. 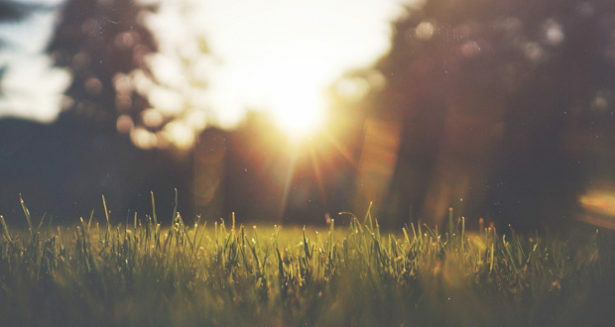 The extra moisture and sun protection can help save your grass from scorching. Keep the blades sharp, as a dull blade on your mower can slash raggedly at your grass, leaving it more susceptible to burning. If you live in an area that is likely to have some periods of drought during the summer, you probably already aerate your lawn once a year. Punching holes into the soil allows for maximum water absorption deeper in the soil. Aerating once in the fall and again in the late spring should be enough to give your lawn a fighting chance in the heat. During a drought your grass will become very delicate. With the exception of mowing, try to keep off your grass as much as you can. In its depleted condition, your grass is much more likely to be damaged by foot traffic when it is dried out. Even if your lawn is damaged in a long drought, you still have a good chance at seeing it recover. Most grass species are quite resilient and can come back from surprising damage. At the end of a long drought period you will want to saturate your lawn with a deep watering before resuming your regular schedule. Your lawn will be starving for moisture and nutrients, so make sure to water and fertilize accordingly.